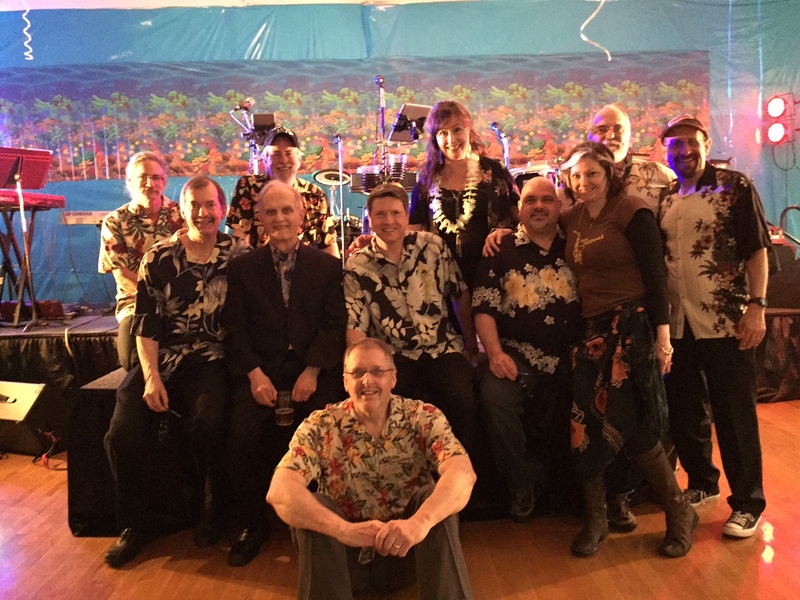 We’re back at it again this weekend for Estacada’s 50th high school reunion. Besides our regular playlist of classic R&B, rock and swing, we’ve added a set of songs from 1965 to stir up senior year memories. 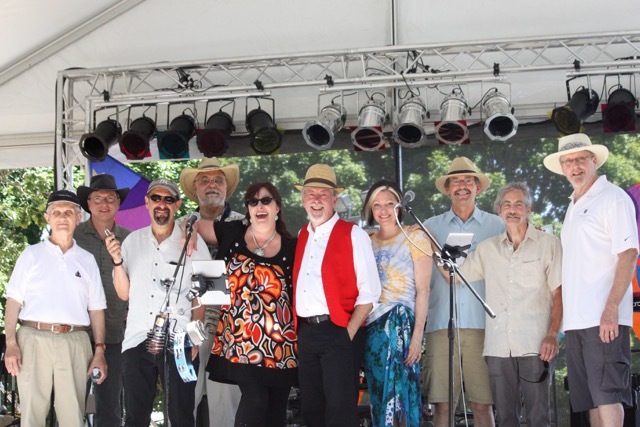 This entry was posted in Uncategorized and tagged 11 piece band with horns, Classic R&B, cover tunes, Live Band, Pop Songs from 1965, Swing and Rock on August 7, 2015 by Chris Taylor. HomeBrew has a gig this Sunday afternoon in Salem at the Salem Art Fair and Festival. We’ll be on the main stage July 19, from 1:30-2:30pm. If you’re in the Salem area drop on by and enjoy the wonderful festival. This art fair has been going on for over 60 years. Some 35,000 people attend this yearly gathering. Enjoy a classic Oregon summer experience and the classic R&B sounds of HomeBrew this Sunday afternoon. This entry was posted in Uncategorized and tagged 11 piece band with horns, Classic R&B, Live Band performance on July 16, 2015 by Chris Taylor. This weekend I perform with the band, HomeBrew. This 11 piece classic R&B party dance band will be entertaining at a couple of private functions. Today, it’s a college graduation and BBQ summer party out in Hillsboro, Oregon. Playlist for this event includes: Al Green, Van Morrison, Chicago, Stevie Wonder, Brian Setzer, Muddy Waters, Steely Dan, KC & the Sunshine band and others. Sunday, a wedding reception in NW Portland, where we’ll have a “striped down” (colloquially speaking) version of HB. This playlist includes: Temptations, Aretha Franklin, Nat King Cole, Ray Charles, The Beatles, James Taylor and of course – others. Looking forward to jamming with my HB peeps!! This entry was posted in Uncategorized and tagged Classic R&B, Classic R&B Party Dance Band, Live Band, Live music on July 11, 2015 by Chris Taylor. 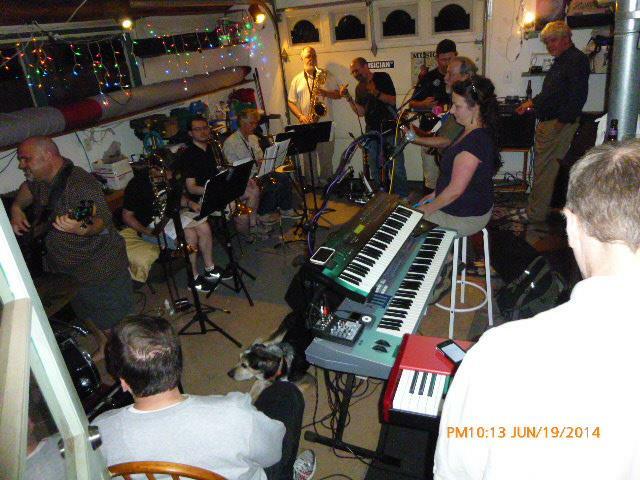 Looking forward to this Thursday evening’s rehearsal with the band HomeBrew as we prepare for Saturday evening’s gig; a 50th wedding anniversary out at Pumpkin Ridge. First gig for me as the solo keyboard player for the band, as I fill in for their regular keyboardist who is playing bass for another band that same night. 2 hours of classic R&B dance favorites from Steely Dan, Stevie Wonder, Muddy Waters, Al Green, Chicago, Van Morrison and others. This coming Sunday morning I’ll be playing with what has become known as the ACRO band for Westminster Presbyterian Church’s 9am chapel service. Acoustic guitars, piano, flute and vocals. Very simple but melodic contemporary hymns. Stuff I’ve never heard before but am coming to enjoy more and more. Gonna be a fun week. This entry was posted in Uncategorized and tagged Acoustic guitar, Band Rehearsal, Classic R&B, Classic R&B Dance Band, Live music, Live performance, Live Piano on July 28, 2014 by Chris Taylor.